Milliken’s Cable Management business launched its newest product for the telecommunications industry. Vis Divide, segmented high-density polyethylene (HDPE) rigid conduit that provides dedicated pathways for placing more than one cable in a single conduit, now offers three available pathways. 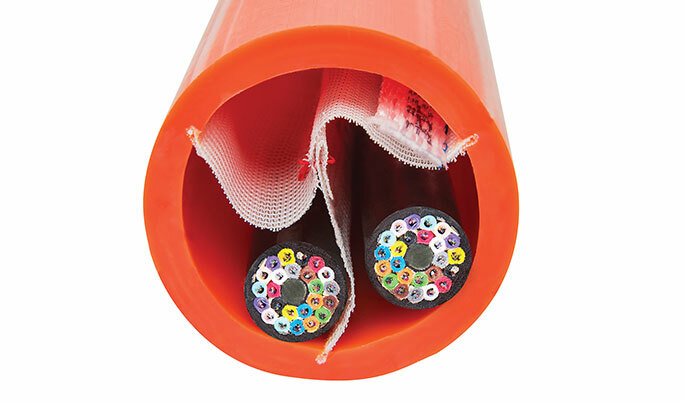 The fabric divider molded directly into the Vis Divide conduit utilizes all the available space within the conduit, while avoiding the risk of cable-over-cable damage. The extra pathways allow for ease of futurization.